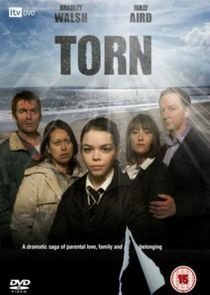 Torn is a three-part psychological drama inspired by a true story about parental love, family ties and belonging. Two family's lives are turned upside down when a mother recognises her daughter, Alice, who was kidnapped from a beach over 10 years earlier, and who was generally assumed to have drowned. Reuniting the family causes destruction and heartache--nobody knows where they really belong and Alice is soon torn between two different worlds.